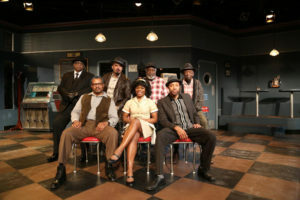 August Wilson’s Two Trains Running was the sixth play in his ten play series The Pittsburgh Cycle which sketched the Black Experience through every decade of the 20th Century. 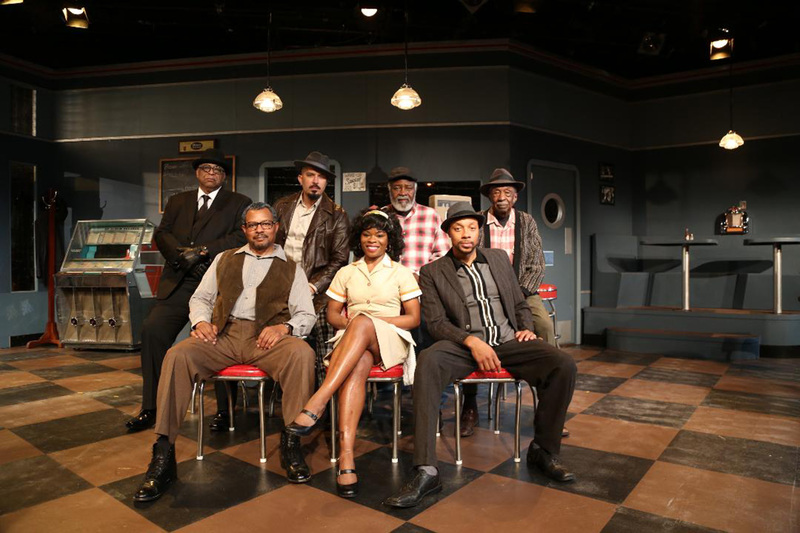 The play premiered in 1990 and is set in the predominately black Hill District of Pittsburgh, Pennsylvania. 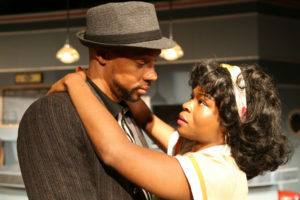 Director Michele Shay has mounted a strong production with a fine ensemble of actors at the Matrix Theatre. The action is set in a diner owned by Memphis (Montae Russell) which has seen better days. In its glory days, the diner would go through a case of fried chicken a day; now because of a lack of customers, it is lucky to go through a case in a week. The property is about to be bought by the city as part of its urban renewal project, but Memphis is determined to get the city to pay the price he feels the building is worth. Successful undertaker West (Alex Morris) has been trying to buy the property for years to add to his real estate holdings, but Memphis has held out. Memphis has one waitress/cook—Risa (Nija Okoro), a shy, attractive girl who took a razor to her legs to discourage advances from the menfolk. The only man she seems to care about is the mentally impaired Hambone (Ellis E. Williams). Newly paroled from the state penitentiary after a failed bank robbery, Sterling (Dorian Missick) begins to court Risa while trying to find a job or better yet, some fast money. 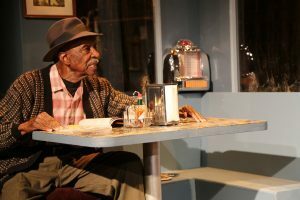 The diner’s two regular customers are old timer Holloway (Adolphus Ward) and numbers runner Wolf (Terrell Tilford). John Iacovelli has designed a well-detailed and appointed set for the action to take place on the sprawling Matrix stage. The growing relationship between the sweet-talking Sterling and the guarded Risa is a delight to watch play out. Okoro is a wonder; she says so much with very little dialogue. As with most of Wilson’s plays, I think he could have used a good editor. The nearly three-hour running time begins to drag at times. 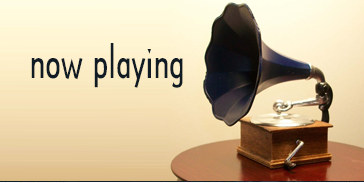 But with such masterful storytelling and masterful storytellers as Ward on hand, the time is well spent.